Bring a touch of elegance in your home, thanks to this room darkening panel that's perfect for any dicor. This elegant woven jacquard panel features an all over tribal pattern. 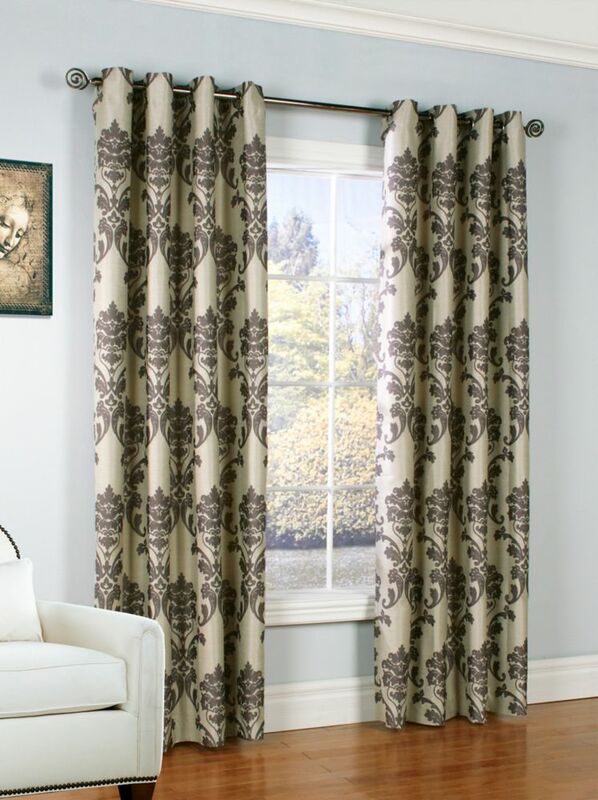 This room darkening curtain panel with an allover distressed medallion motif is a perfect addition to any room in your home. Home Decorators Collection Faux Silk Grommet, Pair, Grey,76 x 84"